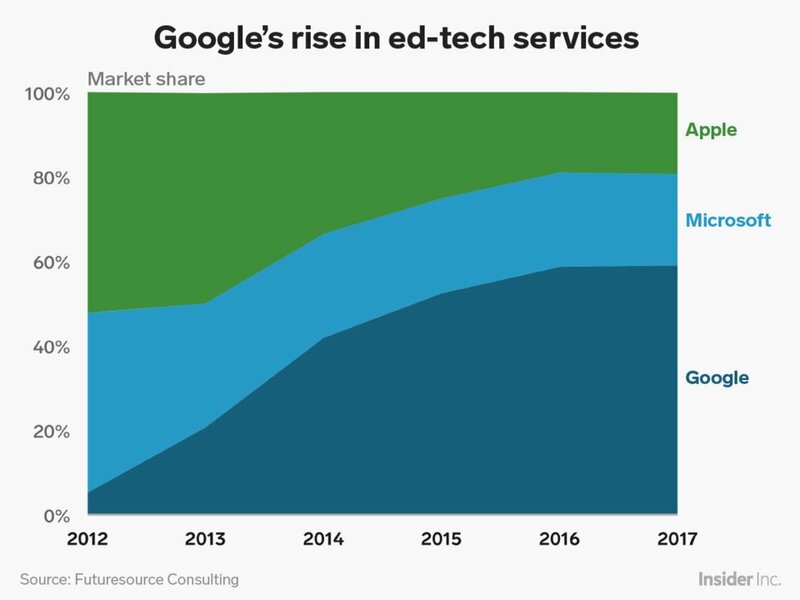 Google has taken over technology in the classroom from education stalwarts Microsoft and Apple. That’s a valuable market to dominate. Ed tech is expected to hit $43 billion in value by 2019, just under half of which is based in K-12. Chromebooks are cheaper than hardware from Microsoft and Apple, and Google’s classroom management software is a teacher favorite because of how easy it is to use. Here’s what the two plan to do to take back some market share from Google.